You might think of edible gifts as a holiday essential—everyone loves a homemade batch of Christmas cookies and chocolates—but there are many times during the year when such a treat is welcome. From gifts for teachers and hostesses to home-baked goodies for new neighbors, it's hard to go wrong with something delicious and made with care. These easy and thoughtful handmade candies, biscuits, and more have you covered for gifting the whole year round. 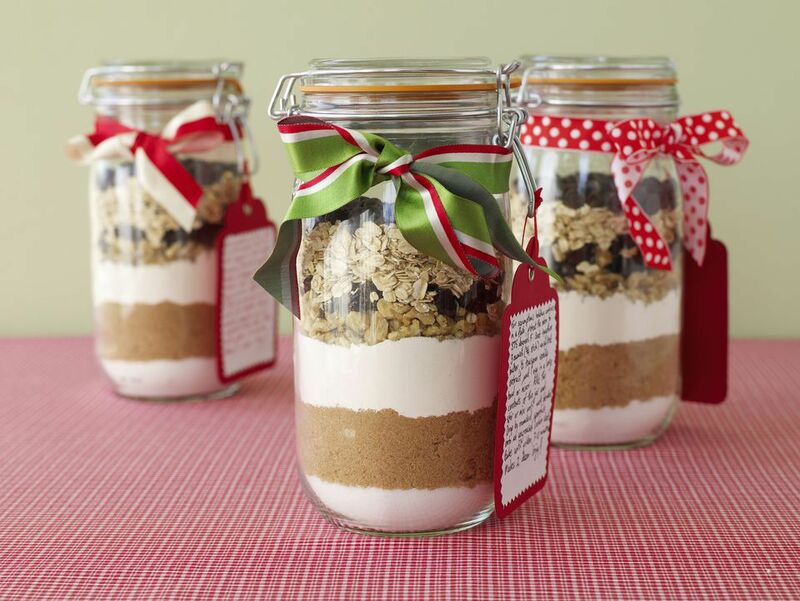 Homemade cookie mixes in mason jars make fun presents, especially for busy families. Your giftees can make fresh cookies whenever they want and they only need to add the wet ingredients in the recipe. There are also multiple ways to customize the packaging and labels to make them truly special. Sweet and salty, smooth and crunchy, sea salt caramels are an irresistible treat and a welcome hostess gift any time of year. To package for gifting, wrap the salted caramels individually in pieces of parchment paper and place in a mason jar or gift bag. They will keep for up to two weeks stored at room temperature. Preserved lemons cured in salt and sugar are a gourmet ingredient that can be used to inject zesty flavor into pestos, risottos, and pastas. They make a fancy edible gift when packed into mason jars. Cured lemons will keep for several months, but your giftees will likely use them well before then! Received a last-minute party invite? Whip up a batch of this smooth chocolate fudge packed with crunchy nuts and chewy marshmallows in a flash. They'll cool in the fridge as you get ready—all you have to do is slice into squares and pack into an airtight container. They'll keep in the fridge for two to three weeks, so big batches can also be made ahead of time. Here's a cute Christmas treat that's great for holiday drop-ins and cookie swaps. Sugar cookies scented with vanilla and orange zest are decorated with mini-M&M candy "lights" for a festive look. Pack them in single layers in a pretty tin for gifting, separating with waxed or parchment paper so they don't stick. Almond biscotti cookies with a subtle licorice flavor from anise are a lovely complement to any coffee or flavored tea. Bake two dozen biscotti in under an hour for bringing to family visits or welcoming new neighbors. Place a few together in a cellophane bag tied with a pretty ribbon and you have a lovely holiday gift. This freezer jam retains a fresh strawberry flavor, so you can make it when berries are at their peak and enjoy a sweet taste of summer any time of year. It keeps in the refrigerator up to a month or in the freezer for up to one year. Pack it into mini mason jars with a hand-written label and some twine for rustic decoration. Oreo peppermint bark makes a wonderful gift at the holidays and other times of the year. It's hard to resist the combination of cream-filled chocolate cookies, mint, and sweet white chocolate. Package it for gifting in a small cellophane bag or cardboard box tied with twine or colorful ribbon and a tag. The bark can be refrigerated and will keep for up to two weeks. Want to impress a gourmet hostess? Show up with this edible gift that can be used to enhance any recipes. 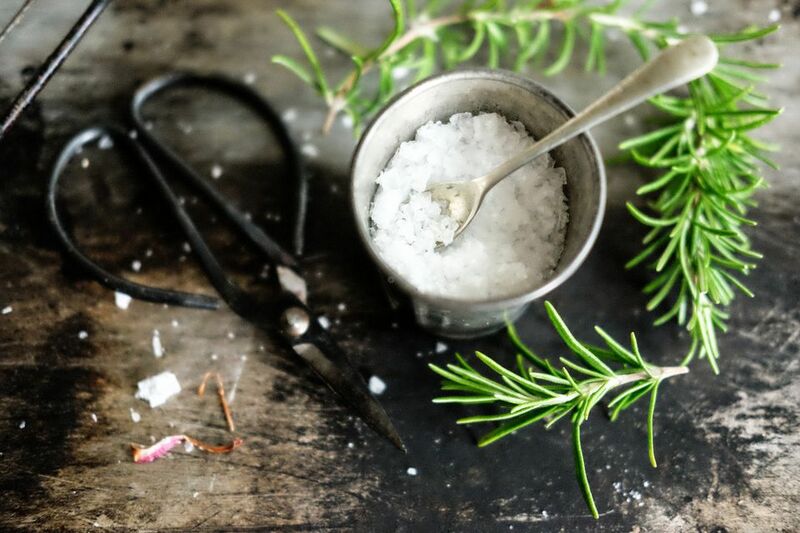 Rosemary salt is easy and fun to create and keeps indefinitely when stored in an air-tight container. Decant it into jars with tight-fitting lids and a pretty label that describes what's inside. Everyone's favorite cookie dough is transformed into a tasty truffle filling, then dunked in chocolate and topped with miniature chocolate chips in this egg-free recipe. If making truffles a few days before giving, store them in the freezer sealed in air-tight bags until they're ready for wrapping. Package in small cardboard boxes in a single layer, lining the box with waxed paper to prevent sticking. You'll be the most popular dinner guest when you bring along this homemade herbal vodka infused with lavender and rosemary. Give yourself a few days to make this recipe so the flavors have time to develop. Use a high quality vodka like Ketel One. Make it in a wide-mouthed mason jar as directed, and save the original vodka bottle for the finished infusion. Pop on your own custom label to make it truly special. Buttery salted nuts are an easy hostess gift for dinner parties and family visits. Make a big batch and store some in the freezer at home in air-tight plastic bags, so you always have a party snack on hand. You can also add some red pepper flakes to the recipe for a kick of spice. Pretzel toffee is crunchy, buttery, and can be elevated with a sprinkling of sea salt. Once cooled completely, the toffee can be broken into pieces for gifting in cellophane bags that are tied with curly ribbons or twine. Use waxed paper to separate layers and prevent sticking. This is one of our favorite brownie recipes. It looks tall like a cakey brownie, but has the dense, rich texture of a fudgy one. Give it as a teacher's gift—or anytime you want to say thanks with chocolate—packaged in a nice tin. Looking for a budget-friendly homemade gift for the holiday season? You can use dark, milk, or white chocolate chips to make these adorable chocolate "spoons" (they're actually candy canes) that take just five minutes to prepare. Pair with a mug and box of store-bought hot cocoa mix to make a cute present.